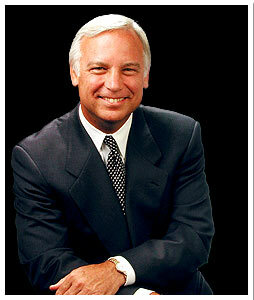 The above is the picture is of Jack Canfield described as America's No. 1 Success Coach! He is a motivational speaker and author of 'Chicken soup for the soul' series of books. However, there is one theme underlying all of managerial or any other organizational work - it is the management of MOTIVATION. In all pharma companies, strategic, planning and operational working depends on the underlying and taken-for-granted aspect: motivation. In fact, the person most successful in pharma marketing and management is the one who can motivate himself and others to work towards preset objectives. Motivation is the desire to do things. It refers to a process that supports, elicits, and controls certain required behaviours. Thus, if the target behaviour is to have a MR (Medical Representative), go out everyday with a planned bag and implement the marketing programs such as meeting 10 doctors and performing planned in-clinic activity, then there should be a process which supports, elicits and controls this MR behaviour. The process of motivation depends on intrinsic and extrinsic factors. Those factors internal to the person are intrinsic factors. For instance, the inner drive in a Product Manager to understand the triggers responsible for sales of his product, is an intrinsic factor. This inner intrinsic factor motivates the Product Manager to go out to the field, meet doctors, talk to MRs, train MRs or other field personnel and further it helps the Product Manager chalk out specific demand boosting strategies, promotional inputs and other specific marketing programs. Let us say, through market analysis, and working in a field, a Product Manager understands that Product A which has support in General Surgery, is not well patronized by ENT doctors. Based on this insight, the Product Manager will chalk out ENT doctors' oriented marketing programs, to generate prescription flow and sales of Product A. For the process of motivation to succeed the intrinsic factor should be strong. The extrinsic factors of motivation include - money, status, relationships and network, and other creature comforts (including food, beverages etc). The intrinsic factor - fundamentally responsible for a person's work habit or a certain way of living/working - is: 'a deep desire to defend oneself from loss and harm'. If a MR knows that lack of involved work can cause harm to him in terms of loss of prescriptions, sales and finally his benefits, then the MR will be motivated to work with high involvement. However, if the MR does not visualize the loss to himself, due to his demotivated workstyle, then the MR will continue to be lackadaisical. This applies to any field manager or product manager too. Thus, the visualized knowledge of a certain activity to make a difference to himself or herself will motivate the individual to behave in a particular manner. If a Product Manager is confident that his product promotional input or strategic insight or his joint field training work, will be recognized and it will make a difference to himself and to his organization, then the Product Manager will be motivated to involve in that activity. The challenge for managements and managers is creating, constantly improving and making the process of MOTIVATION effective and efficient. It should be appreciated that motivation is not a single thing, it is process. Motivating people is a process involving many elements and not just the boss. The common denominator of all motivational processes is that the individual, group, team or organization should achieve 100% of all the targets ie., sales target, production target, despatch target, profit target, brand equity target, doctor coverage target, best place to work target (for HR people) and so on. The weakness of most motivational processes is the overreliance on one factor for achieving the desired output. For instance, a firm may believe MR activity is 100% responsible for sales outputs. They will then fashion out motivational processes in those lines to ensure high MR activity. Another firm may believe quality of MR activity is 100% responsible for sales outputs. This firm will then have motivational processes accordingly, laying emphasis on PMT ie., product management and training. If a firm believes PMT activity is vital, then motivational processes will focus on them too. Yet another pharma firm may focus on CME and mailer activity, which they believe is really responsible for motivating prescribers and hence they will have motivational processes in the firm on those lines - this is specially true of super-specialty product divisions. Ultimately motivational processes in the organization depend on business model, product type and range, general market conditions and requirements, values, understandings, goals, beliefs, culture and philosophy of the organization. If a firm believes that finally it is knowledge that drives success for the firm, then the motivational processes in the firm will be to acquire, disseminate and practice knowledge so that the firm achieves its objectives. It may appear funny or ironic - but many firms will not have a clear idea of the motivational processes in the firm. The granting of an annual increment is the main motivational process to most firms! However, motivation is a complex subject. Producing desired work behaviours will not be possible only through annual increments. Creating motivational processes is more subtle, it involves intangibles, creating feel-good factors, work enrichment, providing positive reinforcers and rewards on a continuous basis, training, morale boosting programs and other concepts. The rise of Mankind Pharma, now the trailblazing growth of Eris Lifesciences, the resurgence of Astra Zeneca, the impact of Aprica Pharma, Corona Pharma/Remedie and the like in various pockets of Indian pharma market has got more to it than just operational planning, strategic focus, and overall planning and execution. These firms have actually hit the right button of MOTIVATIONAL PROCESSES which is encouraging desirable behaviours in their employees and external customers (doctors, chemists, and stockists). In today's pharma market conditions, the time is ripe for pharma firms to map, collect data, gain insights, audit, analyze and understand the MOTIVATIONAL PROCESSES in the organization for internal employees and external customers (and associates). The need is now for a comprehensive picture of status and structure of motivational processes operating in the firm. Then the next step is to improve the motivational processes of the firm - as a continuous thing. Improving the motivational processes is a delicate, intensive and intricate task which will involve changing layouts, language used, cultural symbols, reward systems and so on. Ultimately (1) people do business with people (2) people work for people (3) people behaviour if desirable will produce productive and good results for a firm. CONSIDERING THE STATUS AND CHALLENGES OF PHARMA FIRMS today, IT WILL NOT BE A SURPRISE IF PHARMA FIRMS CREATE A CMO (CHIEF MOTIVATION OFFICER) for the firm - a CMO who will be responsible for motivational processes and practices of the firm and will have key result areas for himself too - to show his contributions to the top management. 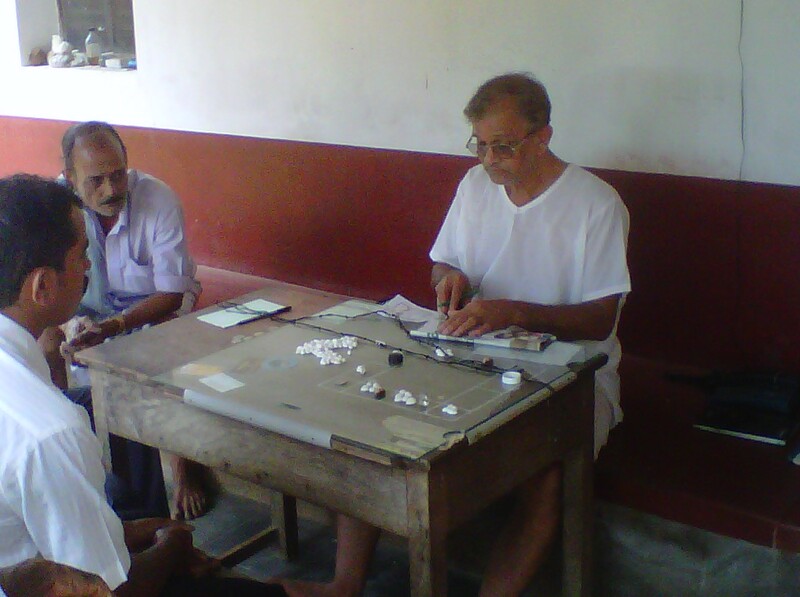 In the above picture we see the photo of my father-in-law who is a landlord and practicing Indian style astrologer (at Nava gruha krupa, Gardadi, between Gurvayankere and Venoor, South Kanara district, half hour from Dharmasthala, Karnataka (Ph. : 08256 - 278050 or 9972725717, languages he knows Kannada, Marathi, Tulu, and broken English and Hindi)). He is dedicated to his profession. He is passionate about it. His day starts from 6.30 am till may be 11.00 pm - there is a continuous stream of people all through the day for consulting him. When he takes breaks for his routine activities the people wait for him patiently to come back, at the verandah, where he practices. Mr. A G Patwardhan (my father-in-law) provides astrological remedies to Hindus, Jains, Muslims and Christians in their style of faith. Best of all he still, at the age of 65 years, is down to earth, no airs, and considers himself a learner and practitioner of his profession. He does not have a fixed charge (based on their feeling, the clients voluntary give him some money, if my father-in-law feels the client has overpaid him - he stuffs some money back into the pocket of the client!). The educated, police, bank managers, doctors, business people, illiterate, politicians, and even cheats, thieves and murderers have come to him for astrological consultation. I was there at his place for four days in April 2012 and was fascinated by his cases and continuous practice. I was fascinated by his self - motivation. When I asked him why he works ceaselessly or does not have any fixed fees - he laughed and said it satisfies him to see the smile of benefit in his client's face. He reiterated that at his age - only such intangibles motivate him. He leads a simple life ... hence, reflecting on him I have researched and written about MOTIVATION in this blogpost. (2) A couple came to him and said their two children then 16 and 15 years old were missing for a few years, so they were wondering what to do. After the prashna jyotishya session, my fil said one would come back in a month's time and the other after two months, and he recommended some poojas in the temple. He gave a hint that the boys were in a jail and would be released. He asked the couple to bring the elder boy to him when he comes back. To the couple's surprise, the elder boy came back after a few days. Accordingly, the couple came with the elder boy to my fil. The elder boy gave his story: apparently, some of the elders of his village who had migrated to distant cities, one of them motivated them to come along with them - and in a particular city the boys were used to rob a bank, the boys were trapped in the bank, caught by police but the elders escaped. The boys were taken to the juvenile prison jailed and the elder boy who was released came back, the second son came back two months later. (3) An elderly Muslim couple came with their problem: their daughter after marriage was staying with them, the son-in-law was missing for about two years, so they wanted to know what to do - should they go in for remarriage of their daugther? After the prasna jyothishya session my fil said that the son-in-law would come back in 3 or 4 days and will reunite with the daughter. The couple was puzzled, yet they followed some instructions as per Muslim traditions as advised by my fil. The son-in-law came back on 4th day, apparently he had gone elsewhere to earn money, which he did and now was reunited with his wife. They all came for a thanksgiving visit to my fil's place. To the typically modern city bred Indian and to the westerner the above narrations may sound nonsensical. Remember I - Sunil S Chiplunkar - am also educated and scientifically trained: I have B Pharma, M Pharma, PGDMM and PGDHRM to my credit. I have also travelled a lot and seen many things in life. So do not discount above writings. There are many things of traditional knowledge, which are unknown to modern society people. My father - in -law is also a man of stature, and his brothers are highly learned Professors etc. My father-in-law due to necessity concentrated on agriculture and traditional knowledge. During his youth he was known as 'Michael Jackson Patwardhan'. A progressive farmer, my fil had the best rubber plantation and had won awards. The reason for his success in rubber cultivation? Well, in the sapling stage, wild pigs would attack rubber saplings and eat the bark making the rubber trees narrow and low yielding. My fil had arranged speakers in the rubber plantation and would play Michael Jackson audio songs which would chase away the wild pigs, the result was his rubber plantation had wider and robust rubber trees! This was reported in newspapers too in late1980s. Anyway, coming back to the subject of motivation, it is no doubt that motivational practices and processes are making the difference for organizational results. The concept of motivational processes need to be taken more seriously and comprehensively for a competitive edge, rather than as knee jerk reaction (Oh! Sales are poor - well, increase incentives and bonus offers to the trade and offer costlier gifts to doctors, this will motivate field people, doctors and chemist retailers - so we will get improved sales). Motivational processes need to be well thought out, comprehensive, proactive and should cover employees and customers: organizational results are tied to motivational processes and practices of the firm. Thanks for patiently reading this longish blogpost, best of luck, please recommend this blog to your acquaintances, and scroll down, click on older posts wherever required for reading all other posts.